I adore publishers who release full page, text complete preview excerpts of a comic before release. being one of those people who likes to get a look at the art and a bit of a feel for the story (especially with authors whose work I may not be familiar with), I love that Fantagraphics always provide readers with at least a 5 page preview of their books well before release; I think it's a positive practice- previews help build anticipation and factor in people making buying decisions. Scheduled for publication later this month, they currently have an extensive 29-page(!) 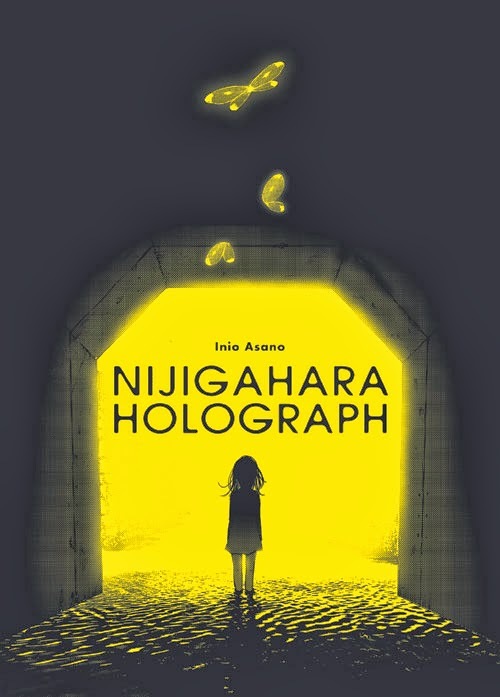 preview of Japanese author Inia Asano's Nijigahara Holograph, some of which I've pulled for you to have a read and look-see below. I believe this is the third of Asano's works to be translated into English after Viz released the Eisner nominated Solanin and the 2 volume What A Wonderful World. 'Even as butterflies ominously proliferate in town, the rumor of a mysterious creature lurking in the tunnel behind the school spreads among the children. When the body of Arié Kimura's mother is found by this tunnel's entrance, next to apparently human traces, the legend seems to be confirmed. Is the end of the world coming? In order to appease the wrath of the beast, the children decide to offer it a sacrifice: The unfortunate Arié, whom they believe to be the cause of the curse, is shoved into a well that leads to the Nijigahara tunnel — an act that in turns pushes Komatsuzaki, the budding thug who has carried a torch for Arié for a while already, entirely over the edge. 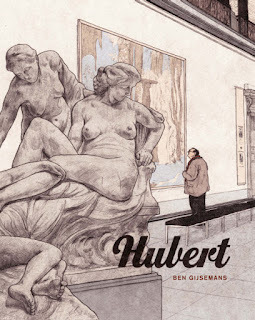 You can find the full preview, as well as pre-order details at Fantagraphics' website, here.